Join us for LIVE! 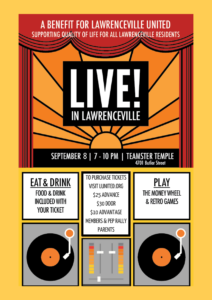 in Lawrenceville, Lawrenceville United’s annual party and fundraiser celebrating the neighbors, volunteers, and leaders that make Lawrenceville special. 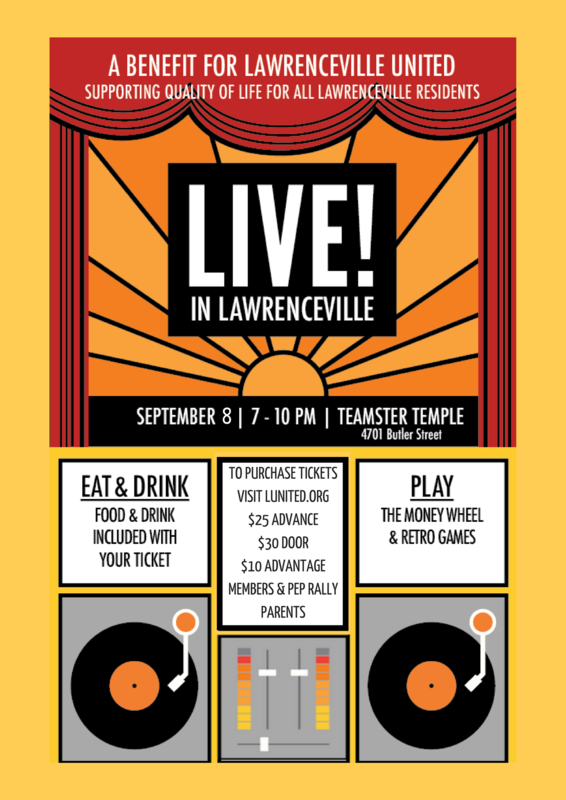 Admission includes food and drinks from local businesses, games, and dancing. To become a sponsor, please contact Dave@Lunited.org by August 25.